I intentionally chose Space Case as the read aloud to end the year, as I knew we wouldn't have time to finish. That way they would already know the first book they wanted to read over the summer. Anything by Stuart Gibbs is a guaranteed winner for 5th graders. Dashiell's scientist parents are recruited to live in the first colony on the moon, which seems like the most exciting prospect in the universe. The reality is not as thrilling: nothing to do, disgusting food, and sparse accommodations is what life is like for the "Moonies." Until a famous doctor dies in an unplanned moonwalk, the morning after Dash overhears him talking excitedly about a discovery. Dash is convinced it's a murder, but no one else seems to believe him, so he decides to investigate on his own. Gibbs has mastered the modern middle grade mystery. The problems in his books are complex and have serious consequences, rather than the stolen lunch money in typical mysteries geared to this age group. The lack of condescension is refreshing and appreciated by my students. 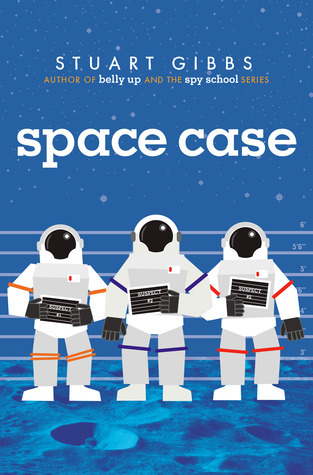 Like all of Stuart Gibbs' books, I highly recommend Space Case.